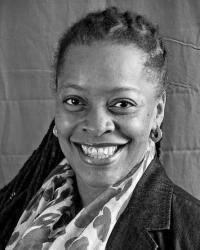 Dr. Kami J. Anderson is an Associate Professor in the department of Digital Writing and Media Arts. Dr. Anderson received her PhD in Intercultural Communication from Howard University in Washington, DC in 2007. Dr. Anderson’s primary research focuses on the construction of identity with bilingualism and the current state of social identity. She has recently published a chapter, “Multiplying the Others from the Margins: Experiences of a Black, Female, Junior Faculty Member in a Non-STEM Discipline at a STEM Institution” in the edited volume, Still Searching for Our Mother’s Garden (Niles and Gordon, 2011). She is currently completing the book, Look Mamí! El fish es over ya! : Choosing to be a bilingual family for Lexington Press with a scheduled release date of Fall 2015.